10 stars out of 5- extraordinary! Provides great fun for hours on end. Book 2 continues Tolkien's epic of rings and Hobbits. 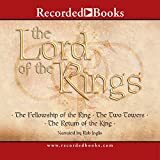 "His Will was Set, and Only Death would Break It..."
Splendid Historical Overview Of Tolkien's Early "Ring"
This is the best book i have ever read!!! A superb fantasy book! A must read! Who knew Gollum had hairballs? The Only Book That Can Be Called "The Greatest"
Good story, interesting plot -- though it is hampered by a need to have read _The Hobbit_ if you are to understand all of the context.Book 1 moved along swiftly. Book 2 started to bog down. Book 3 got stuck in the mud. So I concentrated, and worked really hard, and still got bogged down. So I put the book down for a while, and tried again. Still got bogged down.Eventually, I got to the point where I didn't really care what happened to the darn Hobbits, I just wanted the story to end.The movie is better than the book, or so I'm told. 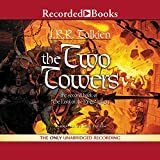 The Two Towers by J.R.R. Tolkien is an epic tale about two courageous hobbits. Their fate separates them from the rest of the Fellowship when attacked by a group of orcs. In the attack, Boromir is slain and the hobbits Pippin and Merry are taken captive. The other two hobbits, Frodo the ring bearer and Samwise his trusty servant, leave during the attack on a quest to destroy the evil Ring of Power in the feared land of Mordor. The remaining members of the fellowship Aragorn, Legolas, and Gimli begin their chase of the orcs to save the captured Pippin and Merry. While Aragorn, Legolas, and Gimli were hunting the orcs, Frodo and Sam find an unlikely guide who takes them to the gates of Mordor and beyond. Frodo and Sam meet untold perils on their trek to the gates of Mordor. Meanwhile, Aragorn, Legalos, and Gimli take part in an epic battle that leads to a turning point in the war against Sauron, and begins Pippin and Merry on their road to fame and glory. I recommend this book to people who like action, drama and fantsy. Before you read this book you should read two other books written by J.R.R. Tolkien. These are "The Hobbit" and "The Fellowship of the Ring", the prologue and first book in the The Lord of the Rings trilogy, respectively. These books are all very good books and are definitely worth your time. After hearing all the hype about the books and the movie, I expected a real classic. However, these books were more like a double dose of NyQuil. I can't believe I wasted 12 hours listening to these. There are far too many characters and the books jump from sub-plot to sub-plot so often that they never established my interest in any one thread. There was no action or suspense. I didn't see the movie but can imagine that it may have been more interesting with the help of the visual effects. This story seems to be perfect for a movie....it needs some kind of help. As it is, it's far from exciting and a "Classic" it's definitely not. The Hobbit and Lord of the rings books show an incredible consistency of plot and sub-plot. The story flows endlessly from page to page, with suitable breaks in the storyline that allow a person to put it down for such needful things as sleeping and eating, without the usual cliffhangers of other novels. Tending to be riveting at first reading, the second reading reminds one that the series is a good 7000-8000 pages long. A clasic tale of fantasy with all the trimmings, it is a must read for every "well-read" fantasy fan.